I took a break from most things beauty from mid February to mid April, so I stopped checking the portal during that time period. It was around the end of April where I took a pre-qualification survey that I qualified for. At the end of the survey, it said I would be contacted later to participate in the study. People who live near a testing facility have the opportunity to test products on site, but people who live far away can still participate in home studies. On 05/04/15, I received an email asking me to complete another survey. The second survey in this case was the actual study. Rather than testing the product in my home, L’Oreal wanted me to answer questions and look at pictures of women wearing lipstick. Most of the questions showed me a woman with a fresh lipstick application followed by a picture of the lipstick after it was worn for a while. It asked me to tell them if I found the wear acceptable after certain periods. From recollection, I believe the periods were 2 hours, after eating, 8 hours, and at the end of the night. The whole survey took less than ten minutes. My lips are dry, so long wearing lipsticks are usually not my thing. If a company can make one that lasts all day without drying out my lips, I am in. There was not a single picture where I was disappointed in the wear at the end of the day. Maybe, it’s just me, but I do not expect one lipstick application to last all day. It must be relative, but it does not matter. How you answer the questions has nothing to do with your future compensation, so always answer honestly. There were some that were impressive for other points in the day and others that were not. I did not know which lipstick was which, because the pictures were not labeled. On 05/19/15, I received an email stating my survey was incomplete. I was pretty certain I finished it, but I completed it again anyway. The survey was exactly the same, and I had to take it again from the very beginning. It took an additional ten minutes. On 06/04/15, my compensation arrived. That means for the two minute pre-qualifcaiton survey and completing the actual product survey twice, I was already being rewarded. What was the compensation I received for a total of 22 minutes of my time? I received L’Oreal Voluminous Miss Manga Mascara in shade 373, Black. Some retailers have different prices on the variety of color options. In typical drugstore makeup form, this shade ranges from $6.39 to $7.99 depending on the retailer. This is a reminder to shop around before making a drugstore purchase. Target and Wal-Mart are the $6.39 stores, of course. Drugstore.com and Walgreens are the $7.99 stores, but never count them out. They run frequent promotions, which can easily bring the price down lower than $6.39. It may be a while before I try this, because I have too many mascaras. 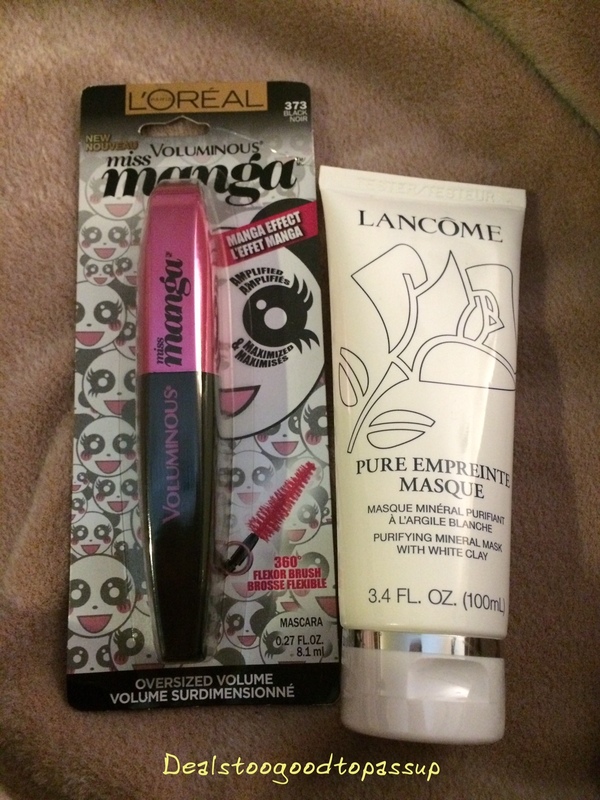 The other item was the Lancome Pure Empreinte Masque. In typical mid range form, this is the same price everywhere, $35. I’ve purchased this in the past, and already had an open one when this arrived. 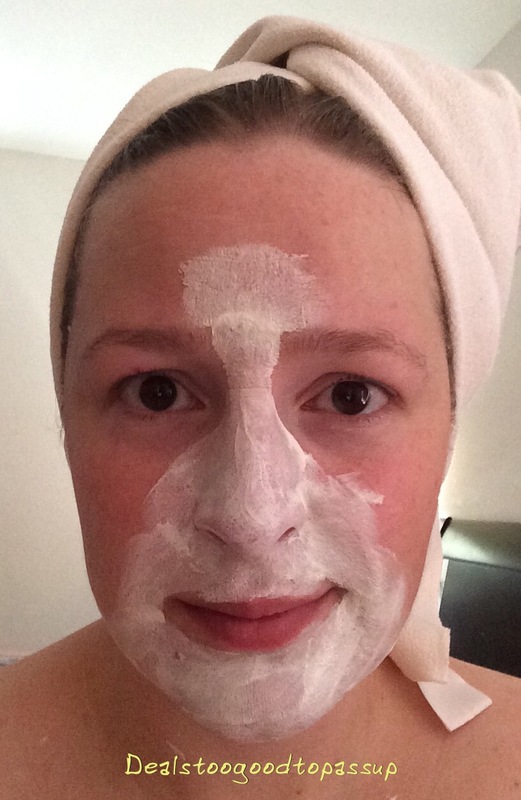 This is a typical clay mask. It works well on oily patches of skin, but I do not like it on dry patches of skin. When I use this, I either apply only this to my reverse T-zone where my skin is only or I apply this to the T-zone and the Lancome Hydra Intense Masque to the dry parts of my skin. Here I am with both masks on. As you can see, the one provided here is white. The other one is clear, so it may be hard to see,. The total value of my compensation is $41.39, which averages over $1 per minute. That’s not bad, so I will continue to take the pre-qualification surveys. Ready to Sign Up? See all L’Oreal Consumer Testing articles. View my main page for the guide map to the site and deeper deal exploration.